So recently, I learned that there are two kinds of people. 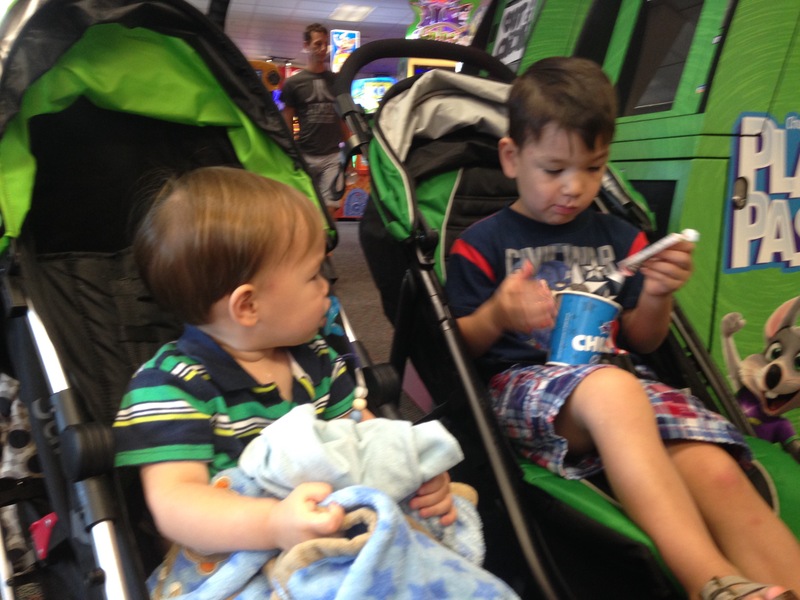 Those who take their kids to Chuck E. Cheese’s and those who don’t. I’m the former. 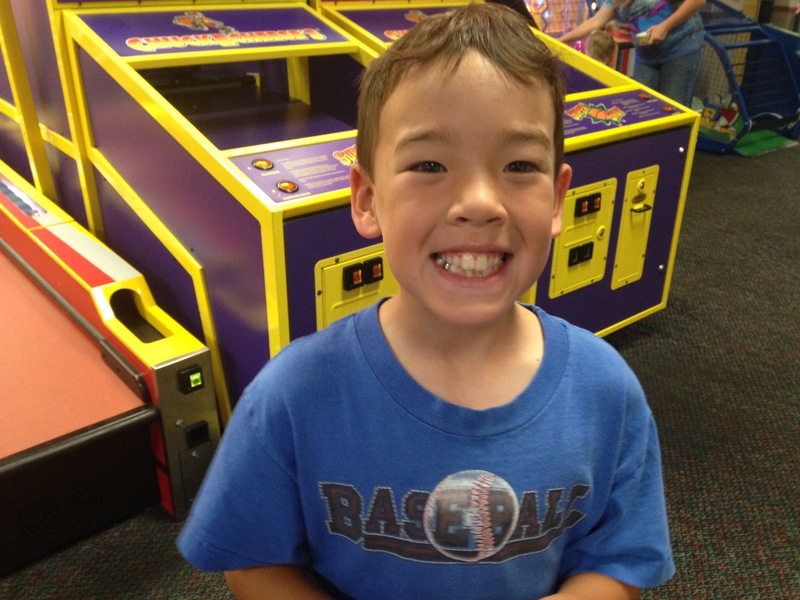 I’ve always loved playing those silly token games and our kids have loved that place ever since they were little. 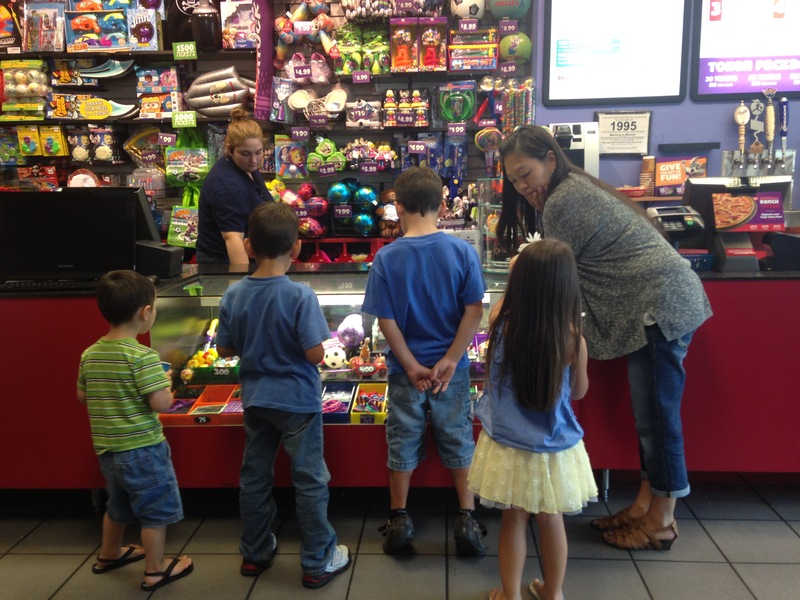 Through attending birthday parties there, they quickly realized that tons of fun could be had playing those games, eating that subpar pizza and debating at the prize counter, on which plastic tchotchke would bring them the most fun (the answer would be none of them because they all break within a few minutes of play). 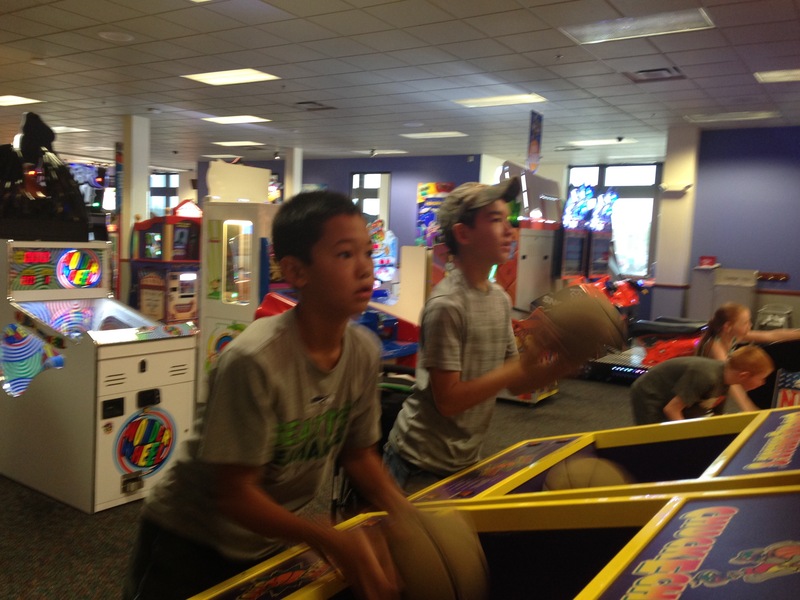 The later then, would be people who don’t take their kids to places like Chuck E. Cheese’s. And that would include both of my sisters. They, and people like them have their reasons and it’s totally fine. They maybe don’t like the crowds or the germs or the subpar pizza. Also, for them it might be a bit daunting to bring their either five (Sarah) or eight (Leslie) kids into such a busy place. All this being said, we happened to be at the mall a few days ago. My sisters and I had our fifteen kids with us along with my mom and Jeremy. 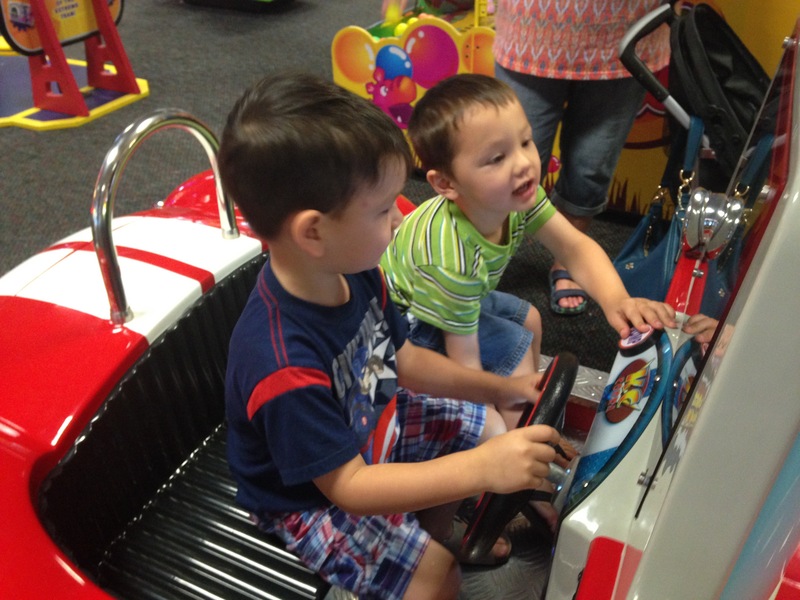 While eating lunch in the food court (which was a magical feat in itself) one of my nephews spotted Chuck E. Cheese’s. He ran over to me and asked if I’d take him. Of course I said “Yes!” Probably because of wanting to be the fun aunt. I did tell him it was up to his mom, who promptly said “No.” Because she’s not a fan. 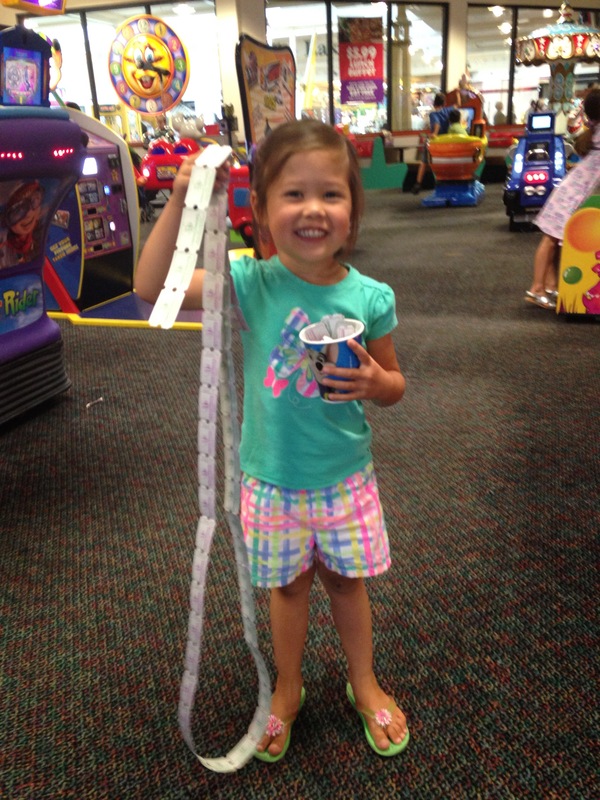 But word got around and pretty soon all of the kids and Aunt Laura and Grandma were making the appeal for how fun it would be to go and by some sort of miracle, eventually my sisters reluctantly agreed to taking all fifteen kids to Chuck E. Cheese’s. It was glorious. It was also a little pricy. 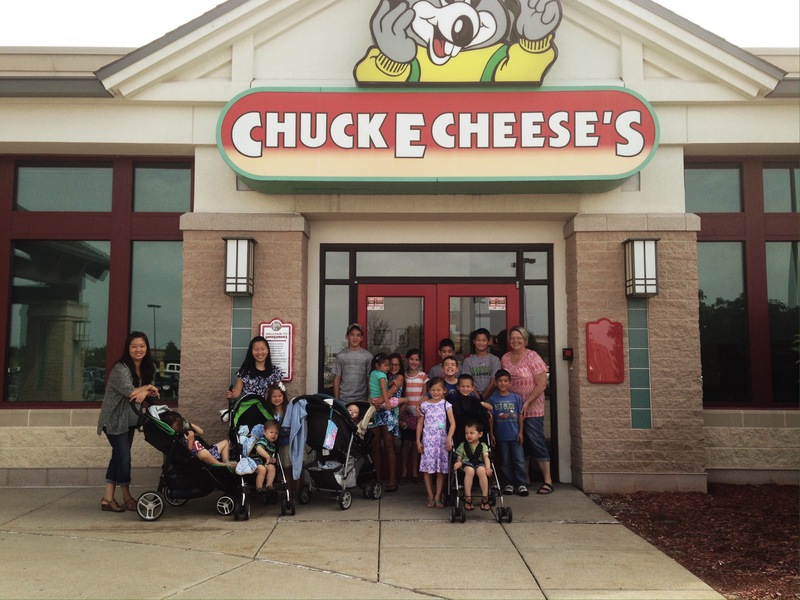 Because if you’re going to take fifteen kids on a perhaps once in a lifetime visit to Chuck E’s you have to make it good. Thankfully Aunt Laura had fun funds and Grandma was willing to chip in as well and soon enough, everyone had about twenty five or so tokens and they were off and running. It was cute to see how quickly the little ones caught on. I walked around with Daniel who seemed to have as much fun putting the “monies” in the games as he did actually playing them. Some of the kids did a great job winning tickets. Others did not. But when I looked around, everyone was having lots of fun and that is what counted most. Speaking of fun, my sisters even managed to let their guards down. Quite a few times I noticed them smiling and happy as all of their kids were smiling and happy. 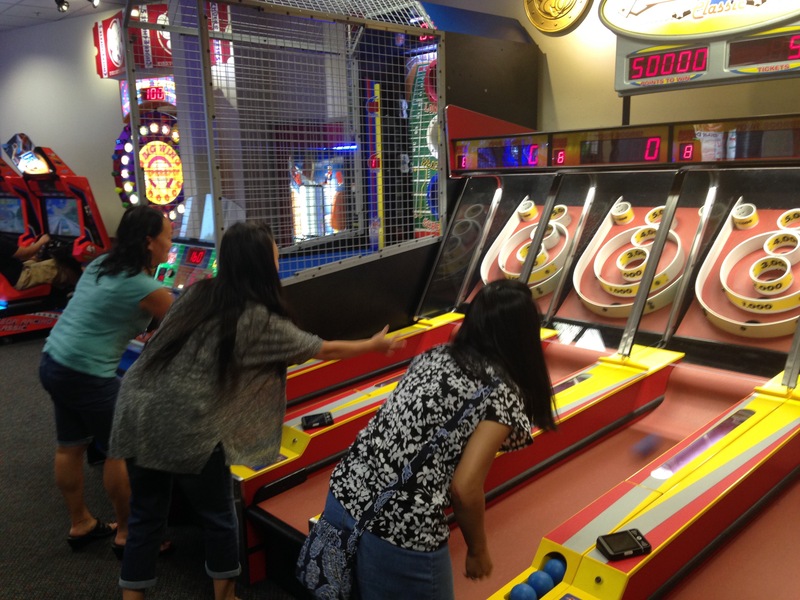 We even all played a friendly game of skee-ball. I decided that in their spare time, they must come and secretly play because they both beat me by a lot. And in the end, the tickets were tallied, and then came the fun of the prize counter. I was happy to see many of the kids pour over the prizes as they figured out what they could get for all of their hard work. Most of them ended up with tootsie rolls and airheads. Because candy is always a solid win. When it was all said and done, we ended up with about a solid hour of fun and entertainment for everyone. To my knowledge, no one picked up any terrible illnesses and thankfully we didn’t even lose any of the kids. 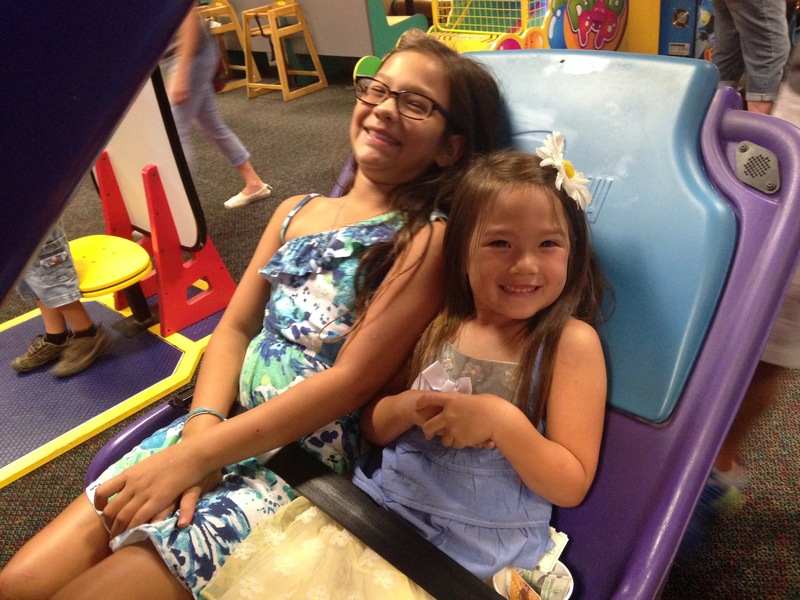 I’m definitely thankful to my cautious sisters for agreeing to let their kids go to Chuck E. Cheese’s and thankful that we all got to have fun playing games and making a fun memory as well.